This is just a suggestion list only. I am not a doctor nor a dietitian. Please talk to your medical professional before starting any new diet. I am a control-freak, I accept it. So when my sweetheart began chemotherapy treatments late last year I took control in the only way I could, by researching all the known healthy foods that have been known to have "Anti-Cancer" qualities. (Go ahead, do your own research if you doubt) But there is one thing I couldn't find. 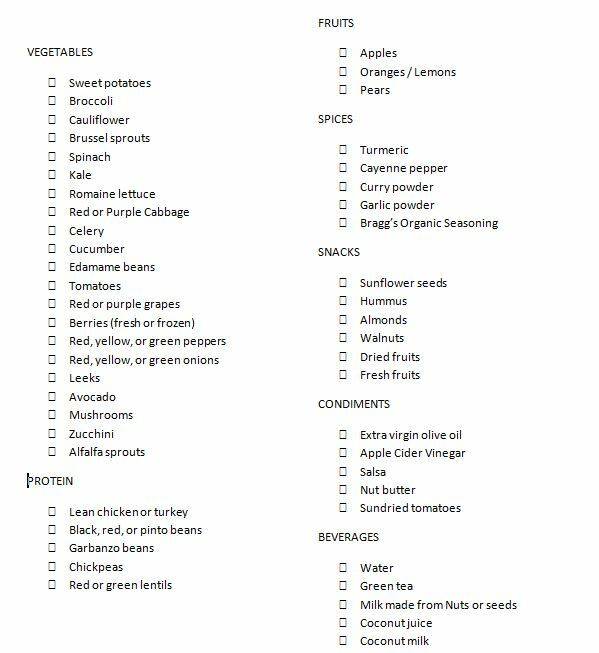 A grocery list of anti-cancer foods. So, I made one. Of all the healthy foods that research and doctors and dieticians and a guy who actually claimed to have Beat Cancer naturally! To conclude, after I made my list, I have been asked to make copies for many people. So here it is.